Stand Up for SINGAPORE: PAP, shame on you!! Never has the author ever felt so ashamed of calling himself – Singaporean. While others are dying from Dengue breakout and the haze is invading into our clean air space, a bunch of power hunger ruling party politician spent hours debating on a hawker center “clean”. It is as though such “cleaning” post an immediate health hazard to Singaporean in the same seriousness of dengue mosquito’s bites or haze. How should one make out of this? In fact the author is not the least surprise for previously in the case of Toh Yi SA (Studio Apartment) Saga he had witness at first hand the low caliber and uncaring attitude of the government of the day. Why so? 1) Attention and time strictly reserve for rubbing shoulder with the rich and powerful? When the SA saga took place, the MP with a popular “female” name was nowhere in sight, action or words though he was always keep in the CC list of all emails dealing with the PMO, HDB, URA and MND. Being a Minister of Environment and Water resource he is found to be missing in action. But this is quite the contrary when it is the case of Toh Yi’s rich neighbor Maplewood condo residents’ petition, immediately our female named minister and his rookie MP team mate sprung into action. Where was Bala during Toh Yi SA Saga, has the minister forgotten that the location where the park used to stand was opened only barely a year ago after spending hundreds of thousands before the 2011 GE (perhaps for the purpose to garner votes). Did he find it awful having to explain to the Toh Yi residents why a park has to be removed only after GE? Or as a Minister of Environment and Water Resource he is incapable of facing the music that Toh Yi does not have a green lung and while the government keep humming to the tune of “environment friendly and going green”. However, we should not be surprise or disappointed with him as to him “politics is about POWER”, thus it explained why attention and time should only be reserve for the rich and powerful. Or maybe his rookie GRC team mate “cow slayer” wonder women is one kind of rare talent that does not need any hand held guidance from a senior minister. Why short changed ordinary residents from some unknown estate? Ordinary people do not deserve your attention and time? 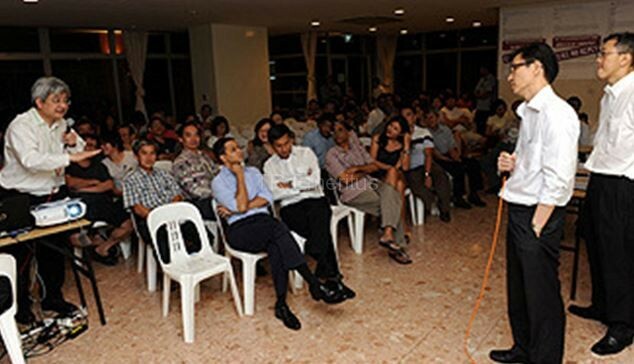 Not long ago a certain person in high power once called out to Singaporean “I cannot do it alone I need your help to make Singapore better” but last minute call did not impress approximately 40% of the population which resulted in a boot kick for a minister class MP and losing another single seat constituency later on. This is also the very person who told us via national media that he backed and endorsed the debate on hawker center “cleaning”. While a group of residents pleaded with him to come walk the ground at the estate to take a stand if the location is indeed suitable for the said studio apartment construction. Not only he ignored them with absolute silent but he went on to attack the residents with name calling rewarded them with a negative naming – “nimby”. When asked to help but when help was rendered the reward ended up as such. Perhaps the last minute stunt pulled together for the GE was with hypocrisy intended? It must be so!! For even their grassroots leaders go around telling residents that consultation with the residents is unnecessary in anything the government will to do. 3) Only care for the rich? On the other hand, his Dad after the 2011 GE walkover declared “I will continue to take care of you” but who would have thought that “you” mentioned is perhaps only referring the rich. How did the author arrive at this conclusion one may asked. Again it is none other than the Toh Yi SA, while the poor have to make do living up the hilly slope up where the fragile legs would have to endure the rich is entitle to live on flat ground with the luxury of the bus stop right at it’s footstep. 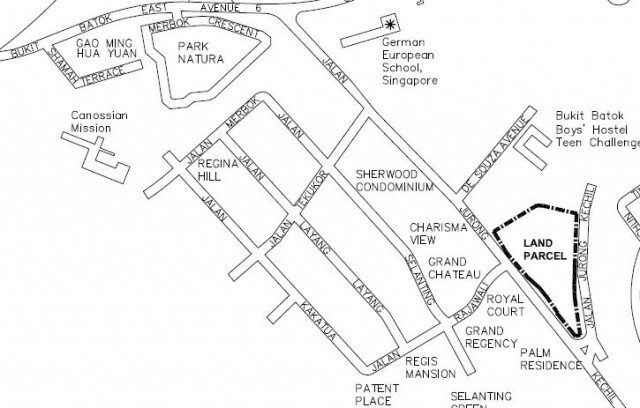 Just months after the Toh Yi saga, MND announced bidding for a piece of land along Jalan Jurong Kecil, just a few hundred meters along the road where Toh Yi estate is located. In its bidding material the location is taunted as excellent location for retirement homes. So should we not raise the question to the pair of father and son, would they continue take care of ordinary folks like us and not shelved us up the hill out of sight and buzzing activities? Would our self-motivated participation in nation building be ridicule as some psychopath freaks? Last but not least, we should also ask to the all righteous wannabe $8 heart bypass MP obsessed with asking others to come clean when the $2 company issues went into hiding. In conclusion, the seduction of power and money is a horrible thing, one would only lose his bearing or moral compass but would sell his/her soul to be with it. Remember they told us “million dollars salary” is sort of compensation for “losing their privacy” and “it would be a shame to talk to a million dollar private company CEO”. Shame on you PAP, is this the best you can put forth before your fellow country man to serve them in your so called hypocritical “integrity and clean politics”??!! While you are the real devil selling the illusionary GDP numbers (according to Uncle Leong how they would draw down reserve to fuel the GDP numbers to pocket indecent bonuses) that does not necessarily equate to raising the standard of living for the present and future generations. To all true children of the lion city!! Let’s redeem your country from this madness and build make a stance for the future of our beloved children!! Come GE2016 make the right choice of voting out PAP, as would the man on the street would say voting a dog or cat is better than voting for a PAP candidate!